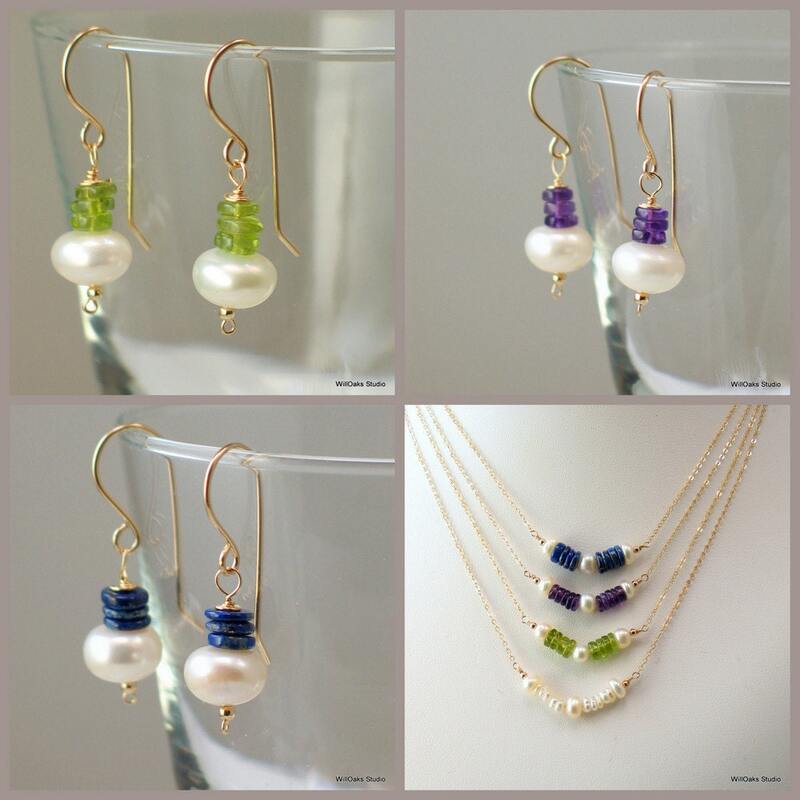 Large lustrous ivory button pearls below a stack of gemstones in your choice of peridot, amethyst or lapis lazuli. About 1 1/4" long measured from the top of the 14-20 gold filled ear wire. 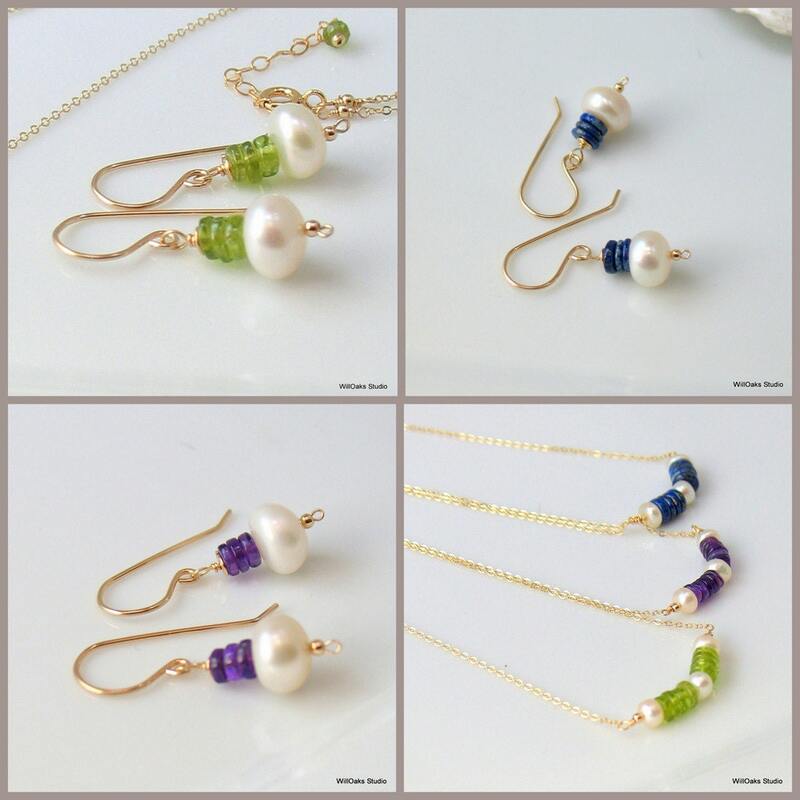 Designed and fabricated in my studio to coordinate with my pearl and gemstone bar necklace https://www.etsy.com/listing/186615597/pearl-and-gem-bar-necklace-in-peridot or to enjoy alone. 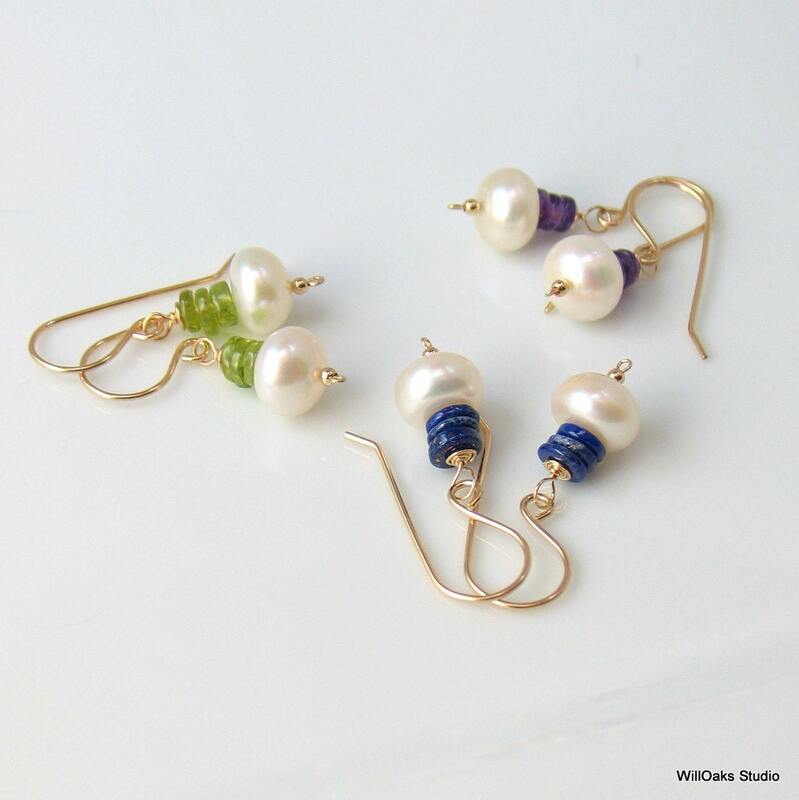 Serious pearl earrings with a modern twist! 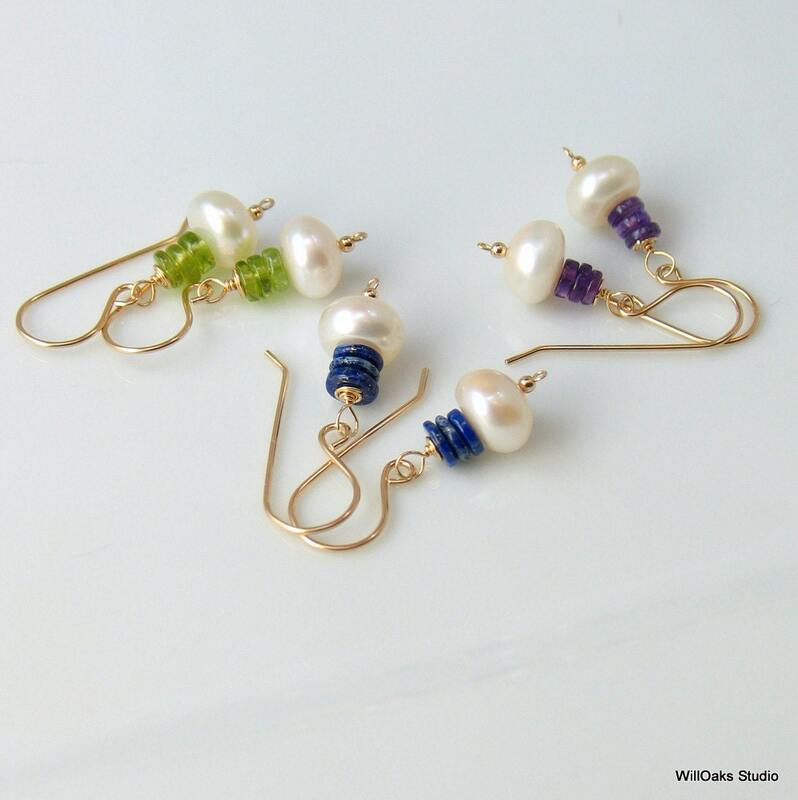 Freshwater pearls measure approximately 9 mm and natural gemstone rondelles cut like wheels are stacked along fine gold filled wire. 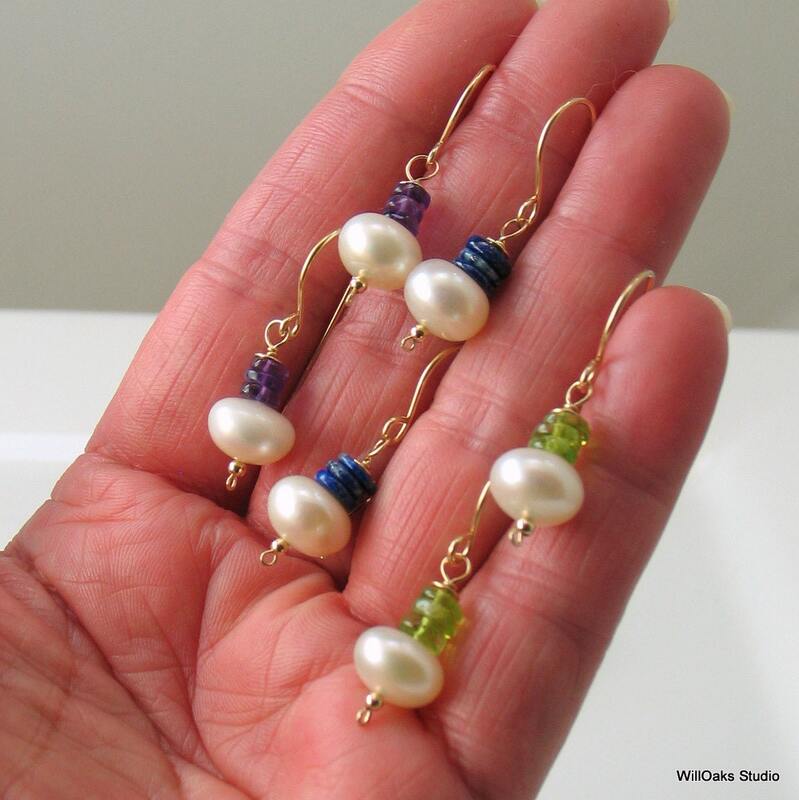 A tiny 2 mm gold filled bead and wire wrapping create the stacked dangle which hangs from my hand fabricated gold filled ear wires. Shipped with silicone earring guards to prevent loss. Presented in my custom package, all ready to gift or to enjoy, and mailed in a bubble wrap envelope.